In numerous cases it was found that doctors has a culture of cover up and also acting dishonestly, unethically, and greedily. 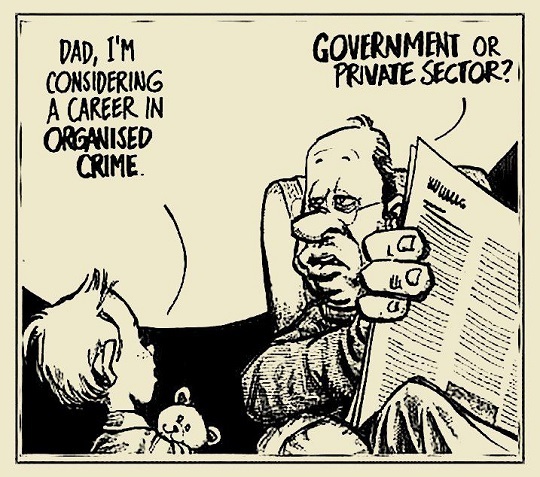 They behave like organized criminals. Every system must have a counter professional diverse system of monitoring besides the Judiciary. This is true in medicine, engineering, politics, religion, business, banking, education, media, military, and all others. No sector must be allowed to monitor and discipline its own members without control and participation from service recipients. Doctors nowadays always put the benefits of their affiliated big criminal hospitals and drug companies first by reaping off money through ordering risky drug prescriptions, huge surgical mistakes, and so on. The situation is even worst in the developing poor countries without fair justice system and rampant ignorance and illiteracy among the public and doctors. Now huge profits are being made by organ trafficking by many criminal doctors and hospitals. Medicine became a freaking heinous business to enrich its practitioners. The professions (law, medicine, engineering, accounting – those fields that meet the 4 criteria for being a profession) are self policing. But, what about when the ranks, the cadres are mostly all corrupt?! When confronted with the choice of maintaining their professional ethics standards, or making money, what do people do? !